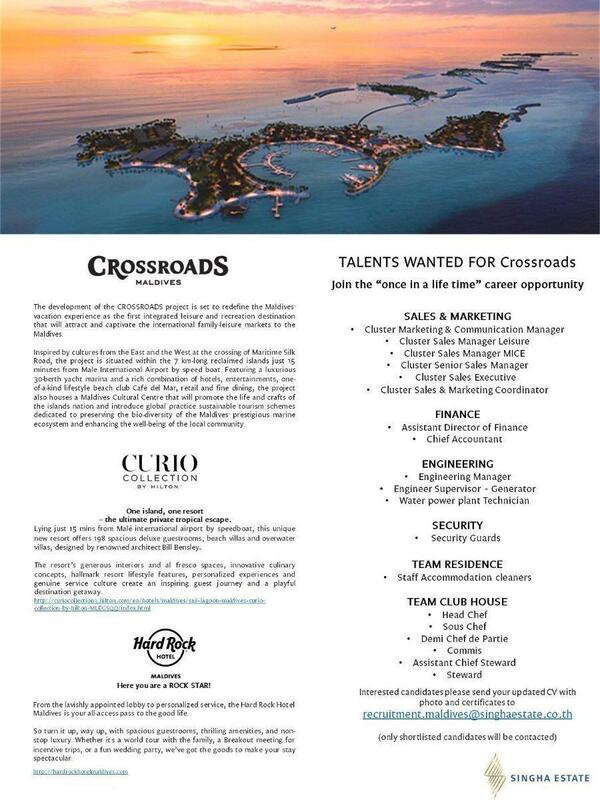 CROSSROADS consist of the Marina; an entertainment Island ,Hard Rock Hotel Maldives, Curio Collection by Hilton, Maldives. 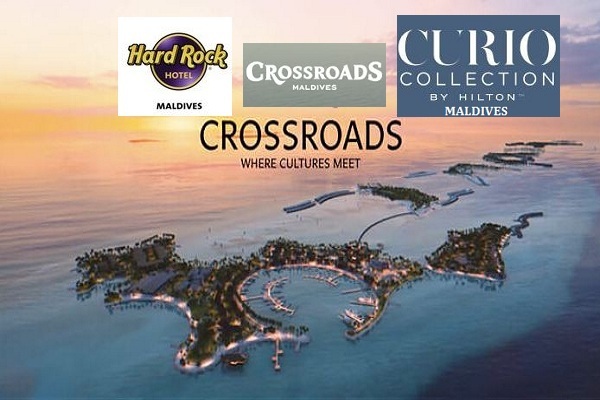 The new Curio Collection property forms part of CROSSROADS project, the first ever integrated leisure and entertainment resort destination in the Maldives that is currently under development in Emboodhoo Lagoon. The new resort will be managed by S Hotels and Resorts, a subsidiary of Thai developer Singha Estate, and is scheduled to open in end-2018. 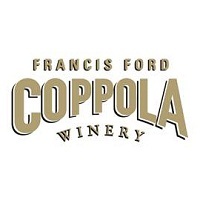 Inspired by local culture, tropical architecture will be infused with contemporary design features, alongside regionally-inspired authentic music memorabilia. Guests will be able to enjoy exclusive brand offerings and amenities including The Sound of Stay music program, offering complimentary use of Fender guitars and Crosley record players for in-room jam sessions, as well as a renowned full-service Rock Spa®, a Rock Shop® selling all brand merchandise, Roxity Kids Club® and Teen Spirit® Club. Guests can also treat their taste buds to delectable on-site food and beverage options, ranging from a Pool Bar and all-day dining, to a Latin & Mexican restaurant and in-villa dining experiences, or to enjoy authentic American cuisine amidst the ultimate rock atmosphere at Hard Rock Café Maldives just steps from the hotel. 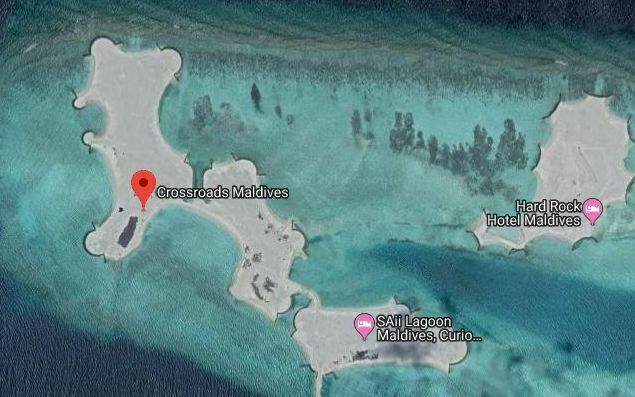 This highly anticipated property will also offer vacationers direct access to the Maldives’ first entertainment island, where locates a rich combination of world-class offerings including entertainment, retail, fine dining and outdoor activities.